Day three of the Overwatch League continues with a ridiculously long series. Halfway into Los Angeles Valiant vs. Dallas Fuel in Overwatch League, the two teams were putting up numbers we’d normally see at the end of a series. Los Angeles and Dallas pushed the first map, Junkertown, into double overtime—both teams reached all three points in their initial go and their first overtime pushes. It was Los Angeles, though, that earned two extra points in the second overtime to Dallas’ one. Los Angeles have a way with overtime, though Fuel aren’t too bad at it either. But when Los Angeles’ backs are against the wall, their cohesion kicks into gear—it was on the second and third points of the first overtime where Los Angeles played damn near perfect in keeping Dallas confused. There, the Los Angeles–based team ran a variation of the Junkertown pirate ship—Bastion, Orisa, Tracer, Roadhog, Widowmaker, and Mercy. The lineup gave Los Angeles preference in positioning: Dallas had to play carefully to keep out of Park “KariV” Young-seo’s crosshairs on Widowmaker, while Brady “Agilities” Girardi pulled enemies out of position using his Roadhog hook. A heavily aggressive play—with just Benjamin “uNKOE” Chevasson on support as Mercy—worked to consistently keep Dallas filing out of spawn. Regardless, it wasn’t enough to make it an easy win. While they eventually scored the win, it took three rounds of Junkertown to do it. That pattern—excessive overtimes—poured over into the next map, Horizon Lunar Colony. Both teams continued to play aggressively, neither showing up with a formidable defense. Los Angeles took a quick two points on the map with six minutes and 13 seconds on the board, only to be showed up with Dallas’ two points leaving them with six minutes and 30 seconds. The teams seemed equally matched, but again, Los Angeles made a big impression in the moments where they needed it most. 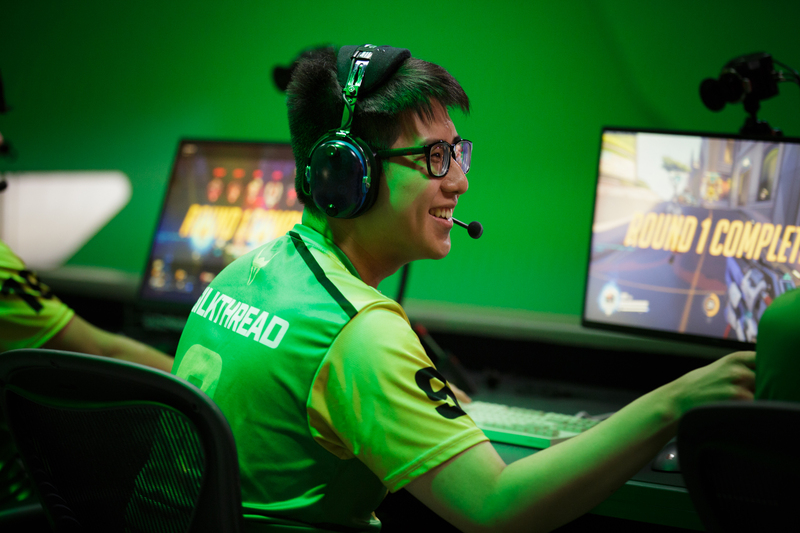 Los Angeles almost didn’t even take point A in the third overtime match, but a crucial Resurrect from KariV brought back Ted “silkthread” Wang on Genji after a failed Dragonblade. Though silkthread’s Dragonblade did little to turn the tide, the perfectly-timed Resurrect was enough to get Los Angeles on the point long enough to take it. Neither Dallas nor Los Angeles grabbed point B in the third overtime, which brought Horizon Lunar Colony to a 5-5 tie—a draw that awards neither team an overall point. With that, Los Angeles led 1-0. The loss to Los Angeles is a devastating blow to Dallas, who similarly lost a very competitive match against Seoul Dynasty on Overwatch League’s opening day. The pressure is certainly on for Dallas as they head into their next match on Jan. 18 against Houston Outlaws.